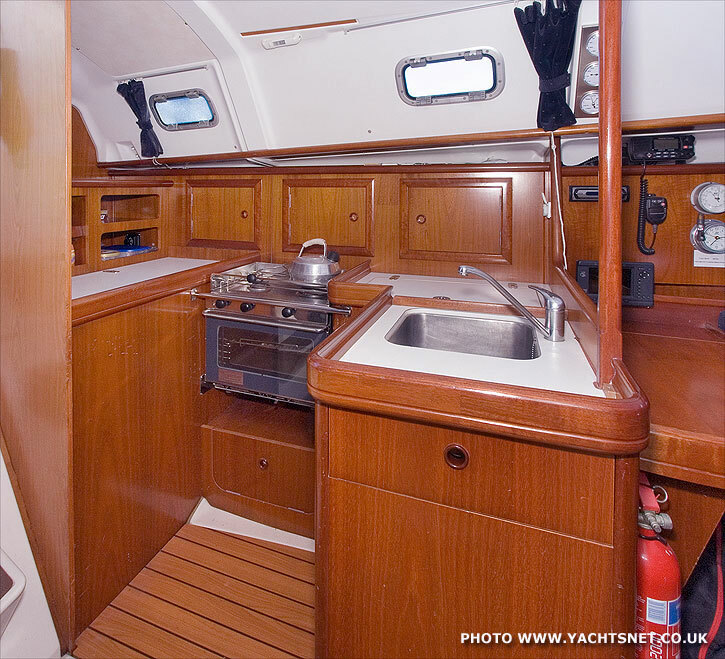 The Beneteau Oceanis 331 is a modern family yacht with a particularly large aft cabin for her size, plus a good heads compartment. 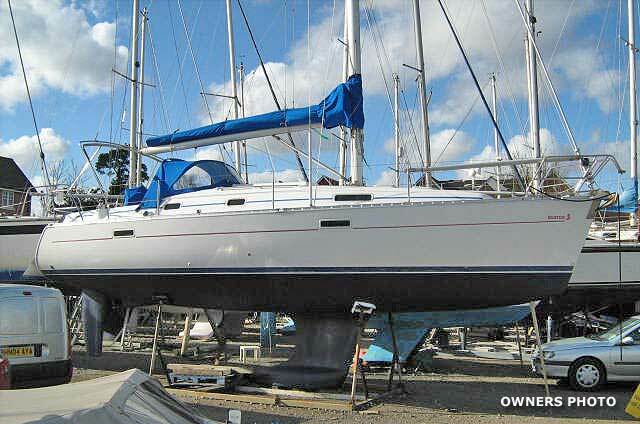 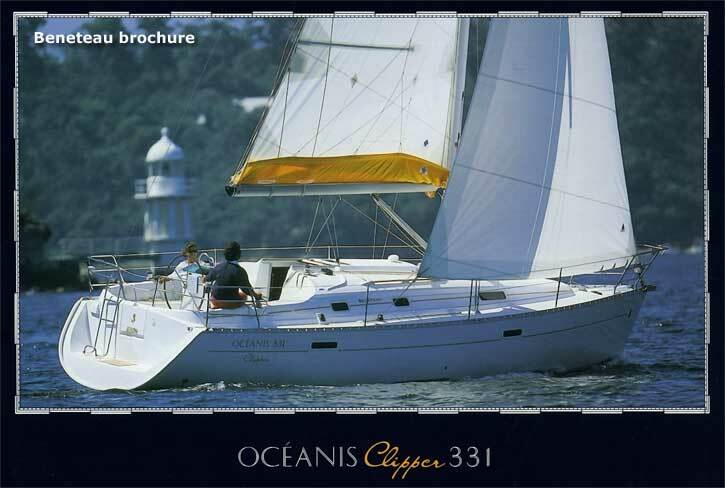 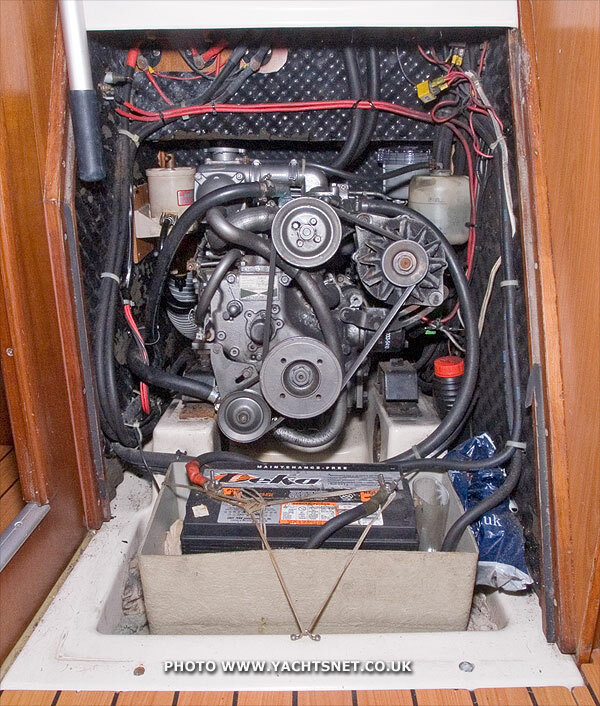 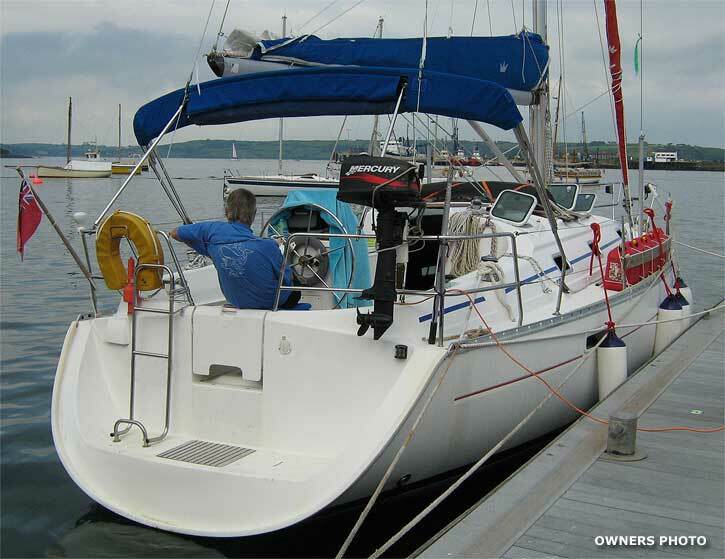 The designation "Oceanis 331 Clipper" refers to models sold with an upgraded inventory from standard. 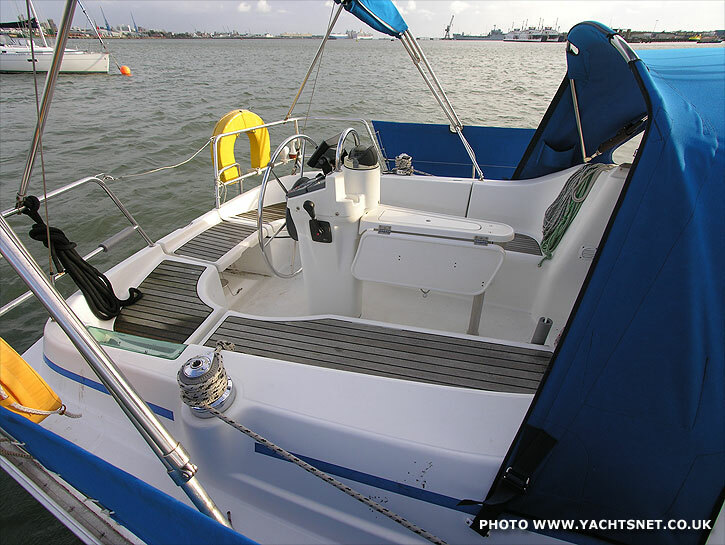 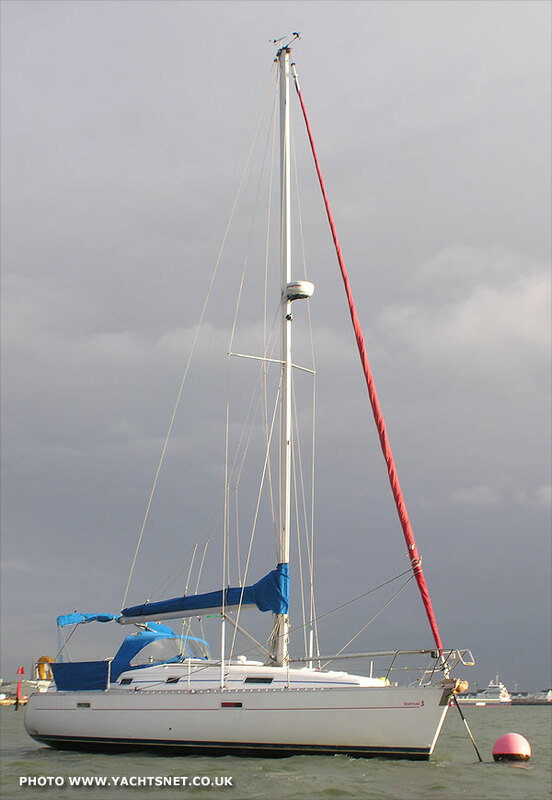 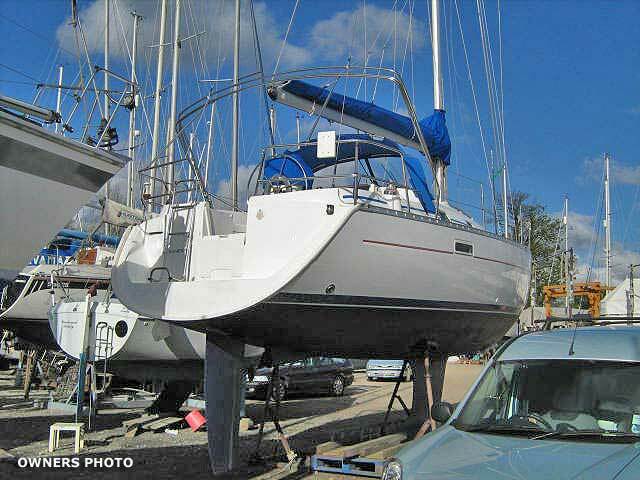 Launched in 2000, the Beneteau Oceanis 331 was designed by Groupe Finot to replace the previous Oceanis 321 model. 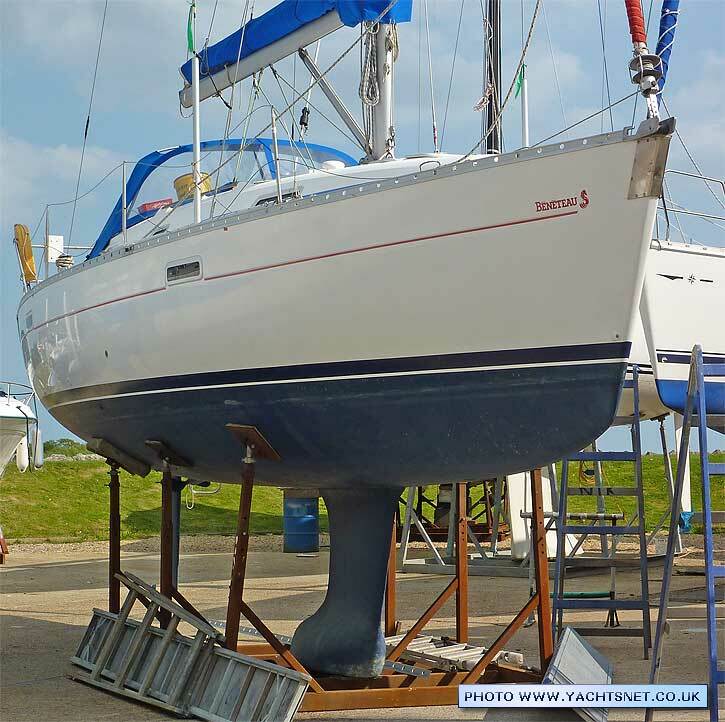 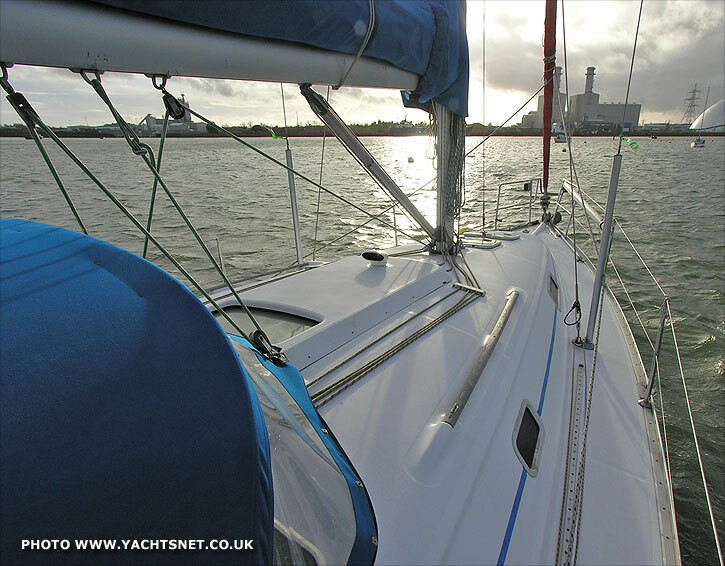 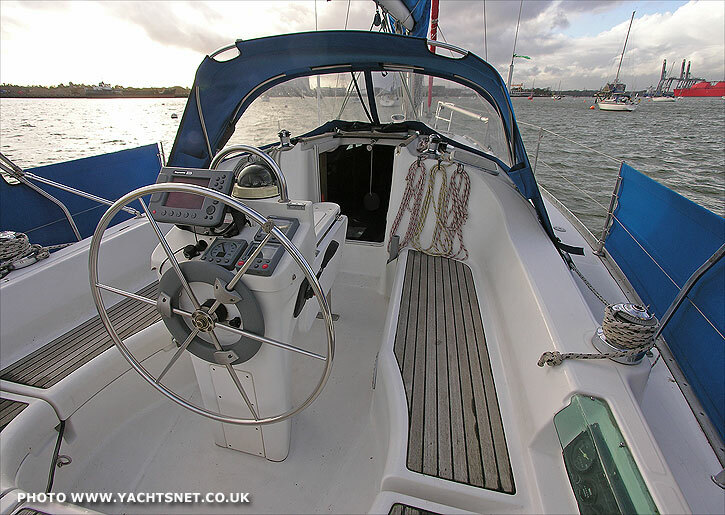 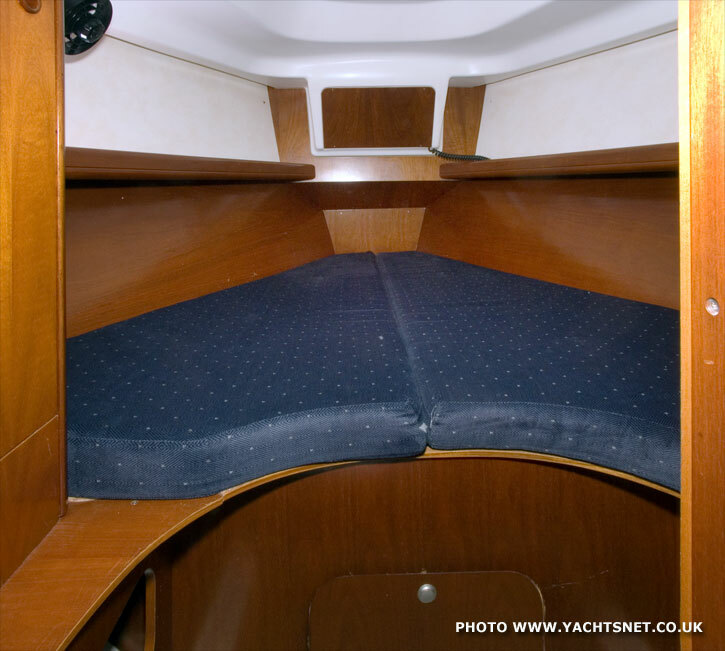 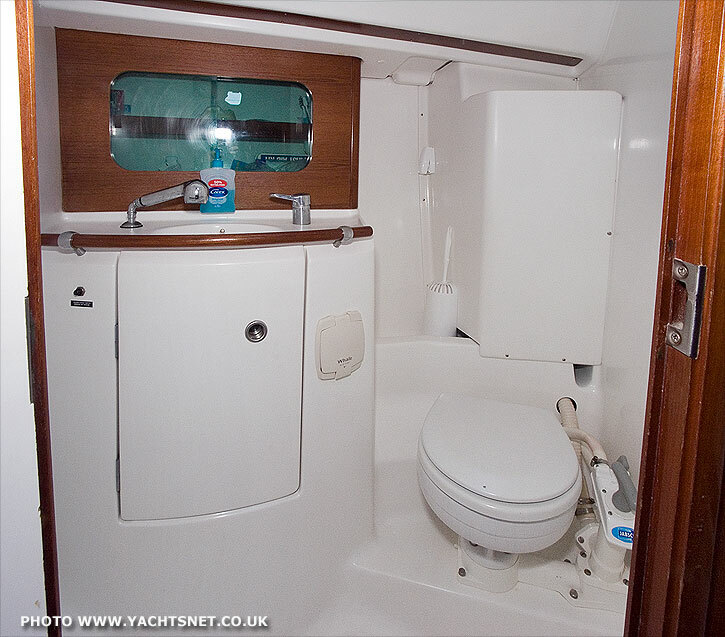 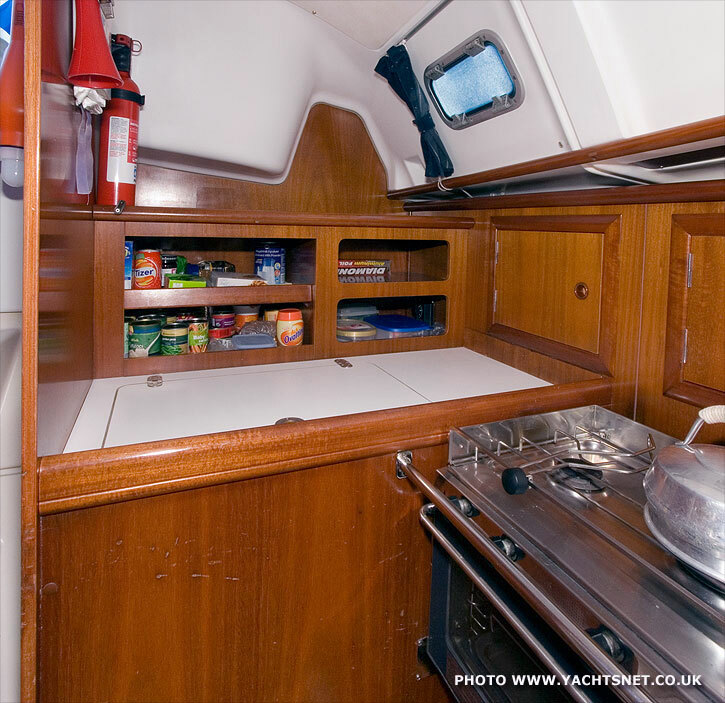 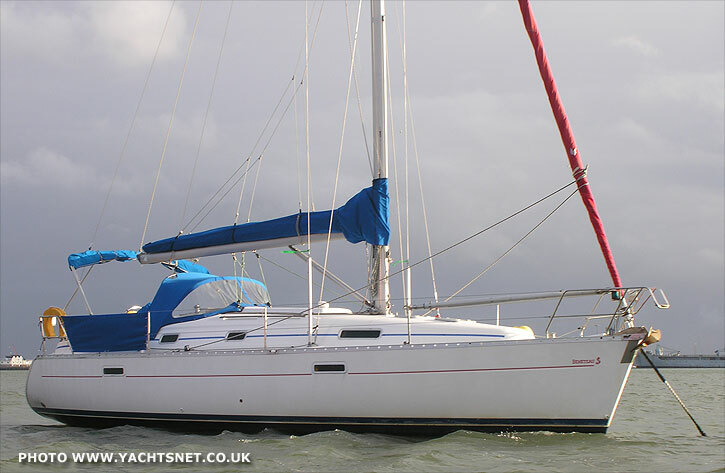 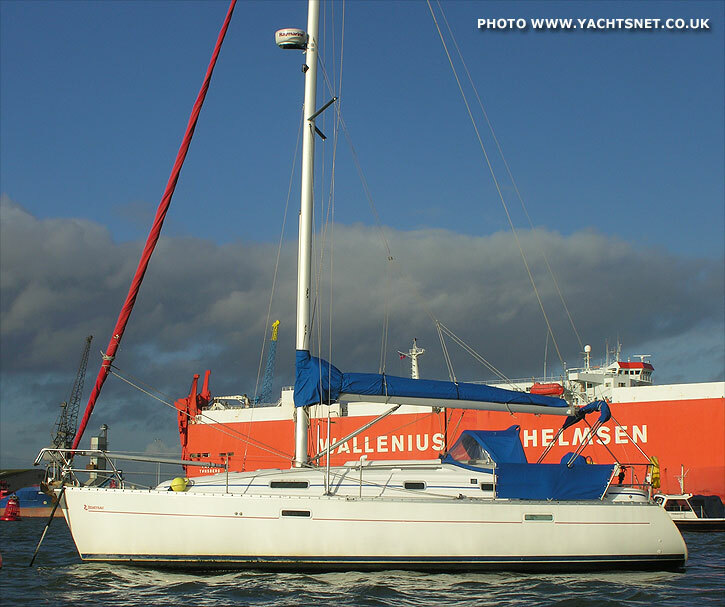 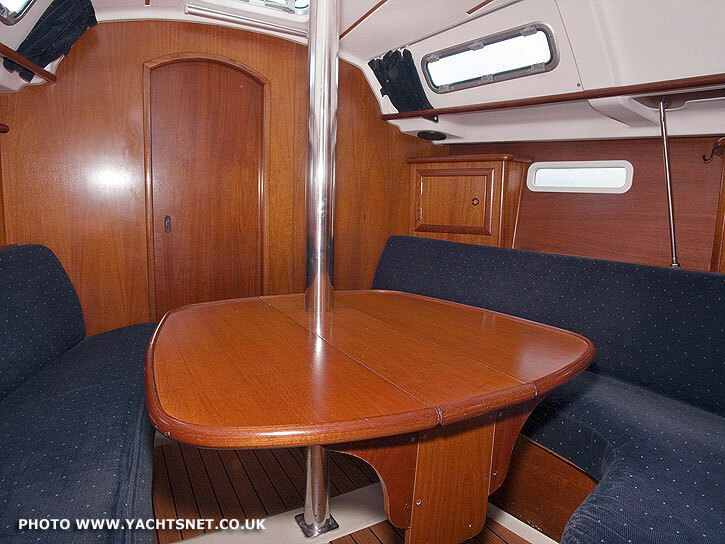 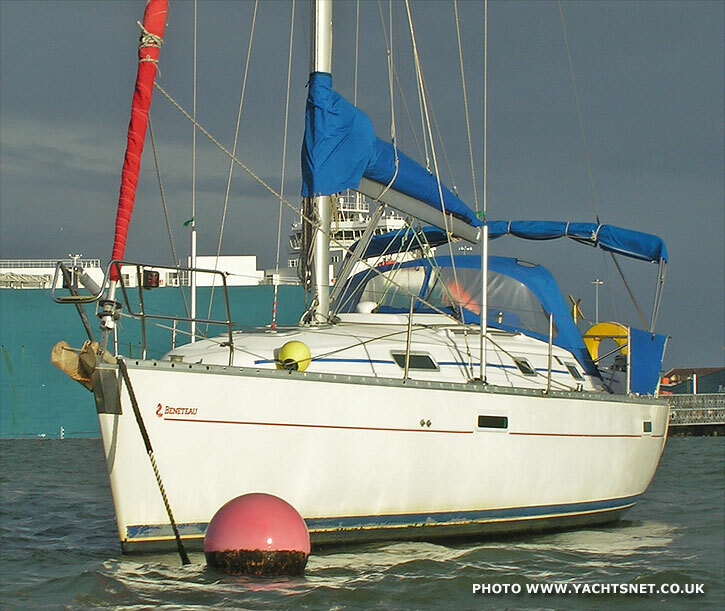 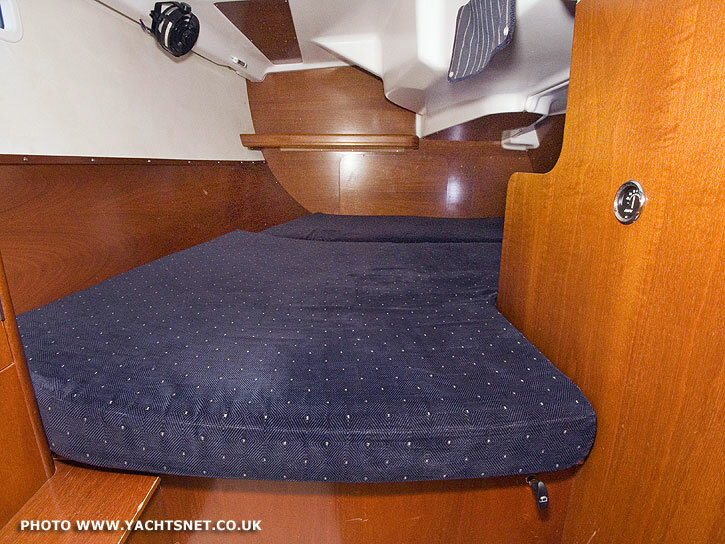 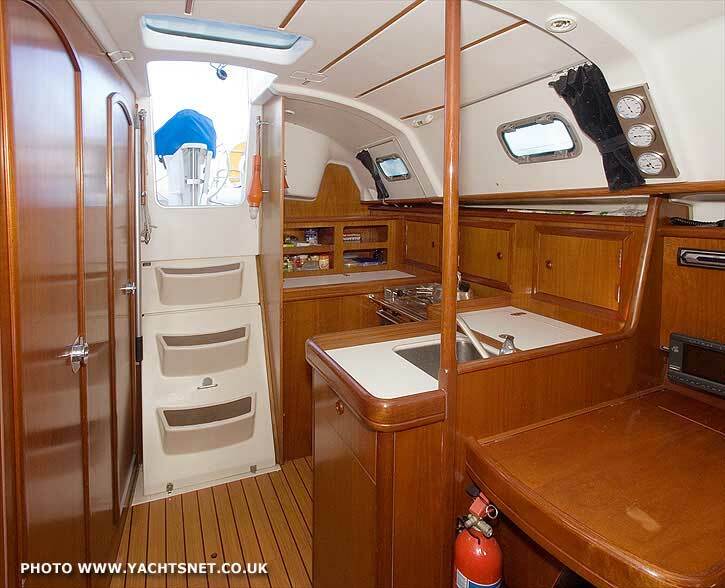 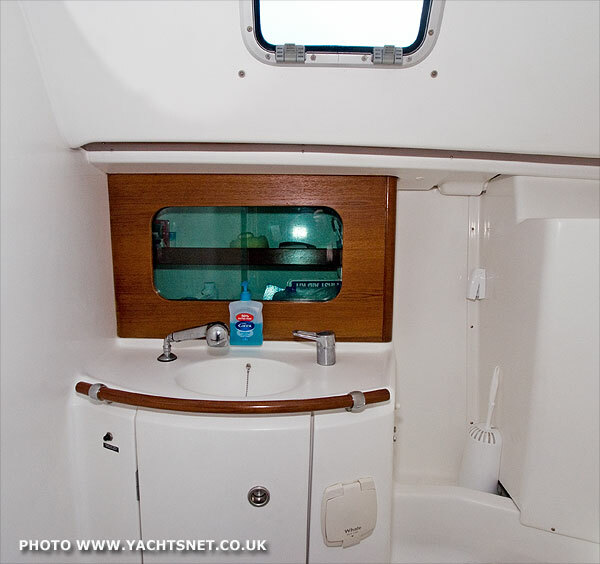 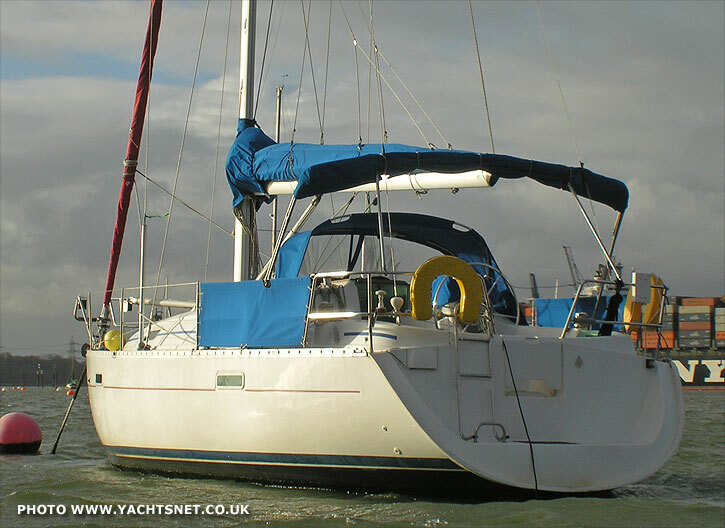 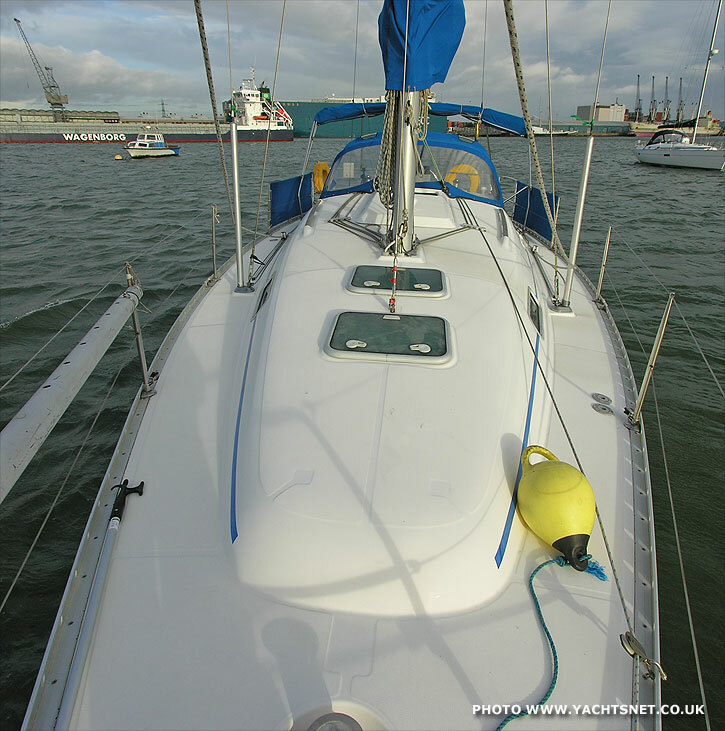 The 331 design has two accommodation options with one large or two smaller aft cabins, and was built with a choice of deep or shallow bulbed fin keels or a lifting keel with twin rudders. 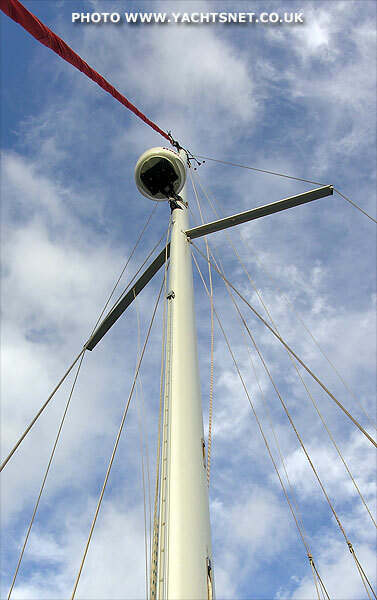 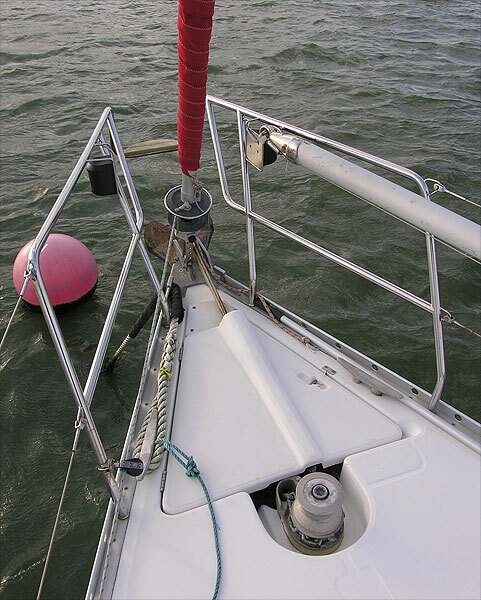 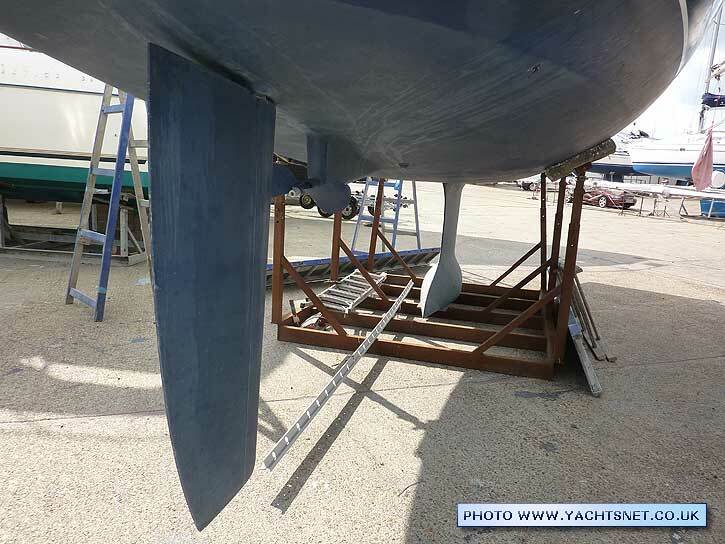 The lifting keel is housed in a shallow stub wing keel, the intention being that to dry out the hull rests on the three points of keel stub and twin rudder tips. 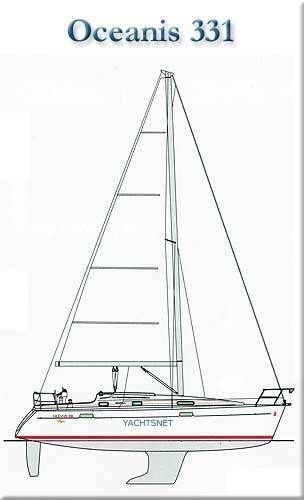 The hull is a solid laminate with isopthalic resins in the outer layers, with a balsa sandwich deck and coachroof. 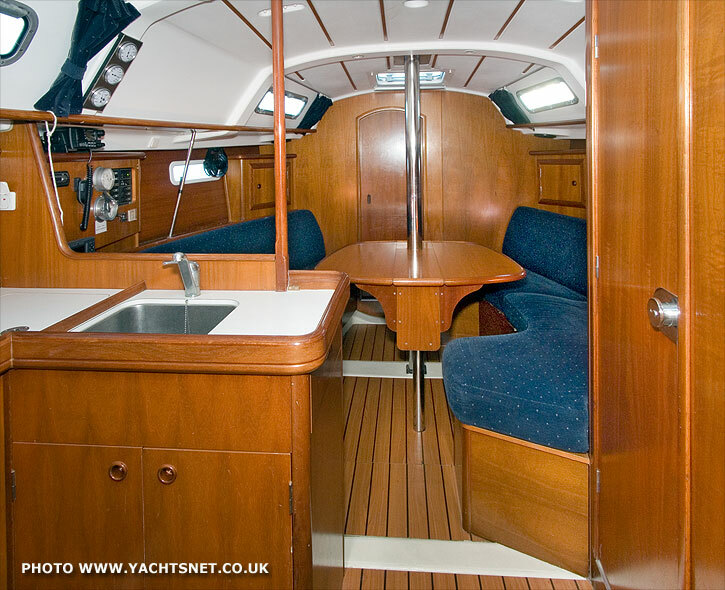 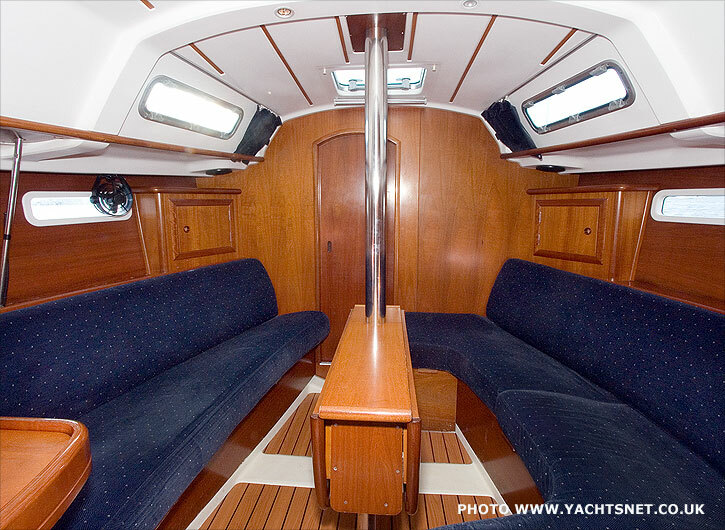 The yacht illustrated is an 'owners' version with a single large aft cabin and the deep fin keel. 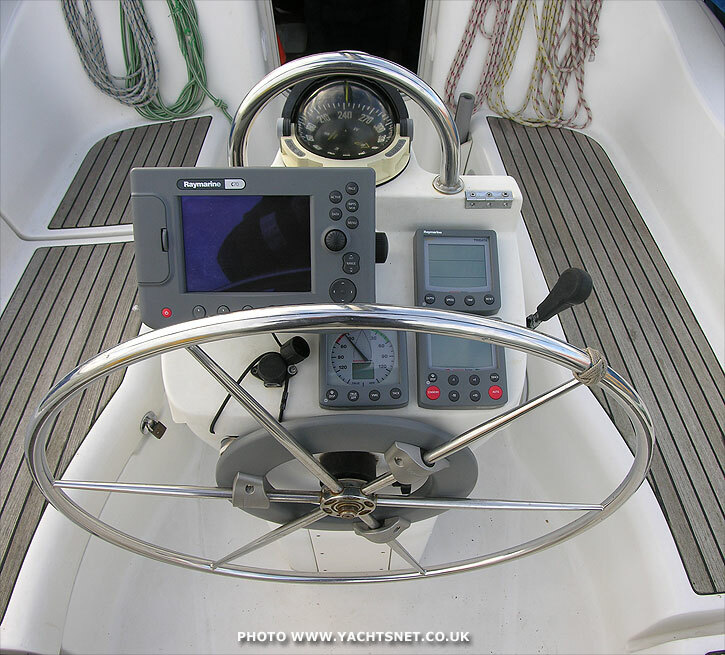 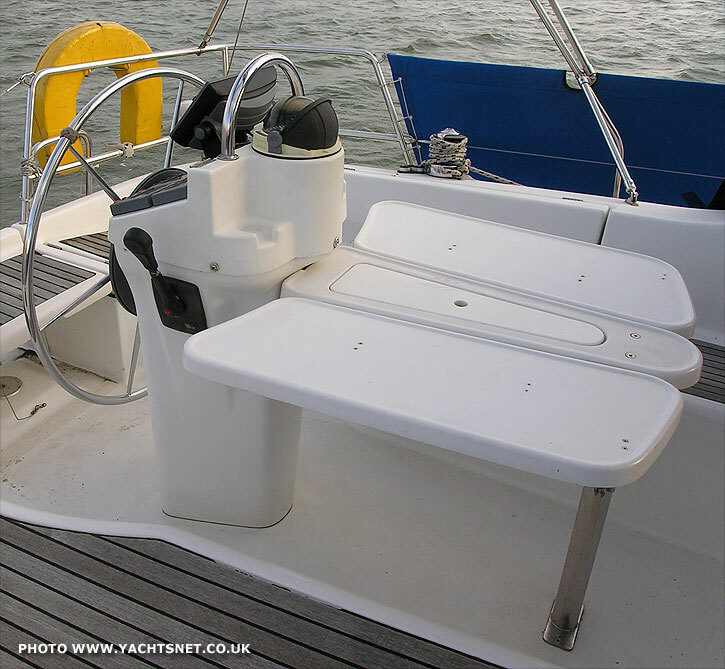 The Oceanis 331 remained in production until around 2005, when the 323 and 343 took over as Beneteau's offerings in this size range.